Daniel is a 7 years old boy who has spent his life at the edge of the forest. He learned to make animal sounds and walk on all fours. 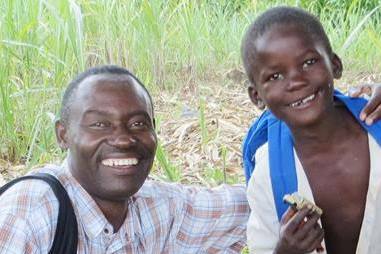 Pastor Rasto Walukana has taken Daniel home on several weekend trips to see if Daniel could adjust to his family. It turned out that Daniel loves the family. Today I was able to meet Daniel and the father. The father is so happy that his son is going to have a future, a family, and attend school. Thank you to Kara Kurth for sponsoring Daniel. It is the best investment!